Ethan, 25, and Daniel, 21, don't just farm – they live and breath it. Their clothes and shoes show permanent signs of the red volcanic soil they work in, their hands worn from hours in the sun harvesting, checking soil conditions and fixing machinery. When asked if running the farm was their dream, if it's what they really wanted or something they were given through birth they responded, "If we were not able to farm in our own right, we would probably be working on someone else's farm." Running a farm is not just sewing a few seeds and waiting 6 weeks for everything to grow, it takes hard work, more than a healthy dose of resilience and an ability to adapt to the new fandangle technologies and everchanging consumer demands. Born with the red soil running through their veins they don't rest on their laurels constantly researching and investigating new projects and technologies to launch the family business into its next stages of life. Armed with a dedicated team of support people from agronomists to IT experts in all fields Ethan and Daniel work with their parents to improve their soil health through cover crops and drainage to ensure that the farm sustains the everchanging environments it faces, both natural, political and consumer-based. 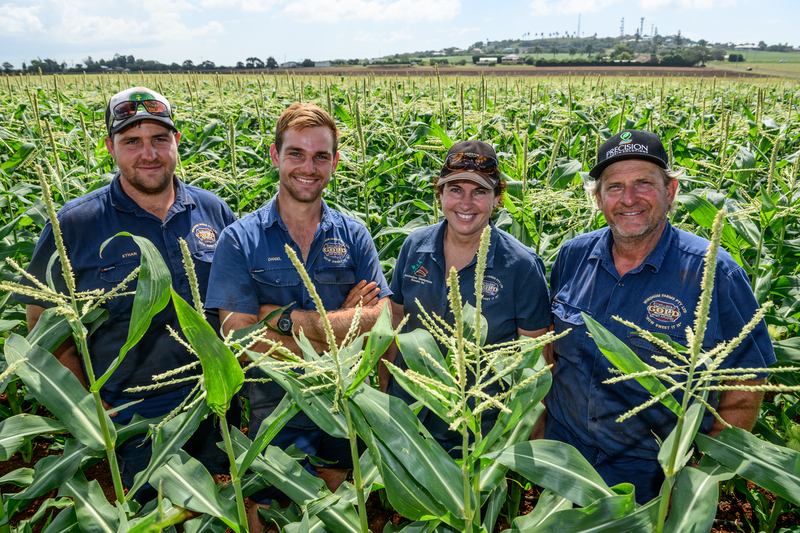 Farming since they were old enough to mark cartons at the end of the packing line, Ethan and Daniel are no stranger to the long hours in the unforgiving Queensland sun or the 16+ hour days often needed to repair machinery, tend to crops or load produce on trucks. It's this tireless dedication and openness to change that will ensure there will be a farm to continue to pass down to their kids in the future. Where Can I Meet Ethan & Daniel from Windhum Farms this Winterfeast? Come mingle with Ethan, Daniel and the Windhum Farms family on a Bundy Food Tours guided Taste Bundaberg Tour of the Bundy Flavours and Winterfeast Farmer's Market. Uncover more of their story while you discover the different varieties of sweet potatoes to fill your plate with. Where Can I Buy/Eat Windhum Farms Sweet Potatoes? Windhum Farms sweet potatoes can be found adorning the menus of Bundaberg's best cafes and restaurants including Grunske's By the River Seafood Restaurant and Market, Indulge Café and Kelly's Beach Resort Restaurant ... just to name a few. You can also pick up your Bonita variety from Beemart and a range of different sweet potato varieties from Drive Thru to the Lettuce Patch. Windhum Farms provides sweet potatoes to all fruit and vegetable markets in the capital cities throughout Australia. They also occasionally run market days from their farmgate out on Hummock Road so make sure you follow them on Facebook for their next market day or catch them at the Bundy Flavours and Winterfeast Farmers Market this July.